The Hot Spring hot tub is truly magical relaxation. The Hot Spring hot tub from above, showing the footbath/reservoir for the waterfall. Marcite hot tub bench and bottom detail. 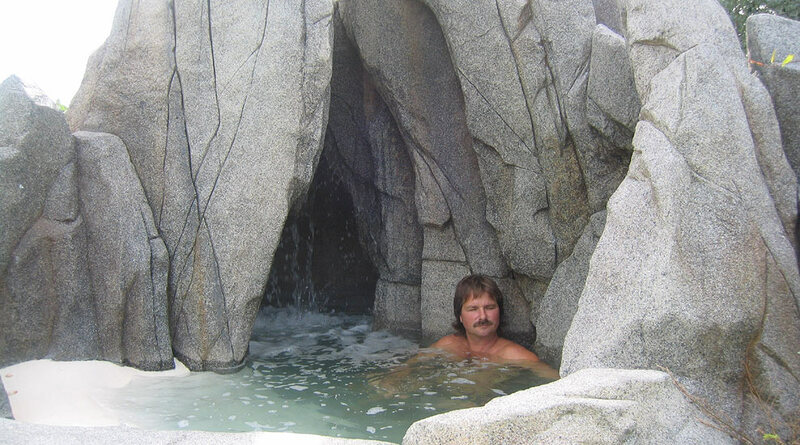 Looking into the hot tub grotto. Hot tub detail show jets and seating. Underwater lighting in the cave. Looking out from the cave / grotto. Steam rising up through the top of the hot tub. Fern garden nestled in the top of the hot tub. A third detail of the fern garden. The inside the cave / grotto. Your dream backyard could be closer than you think... 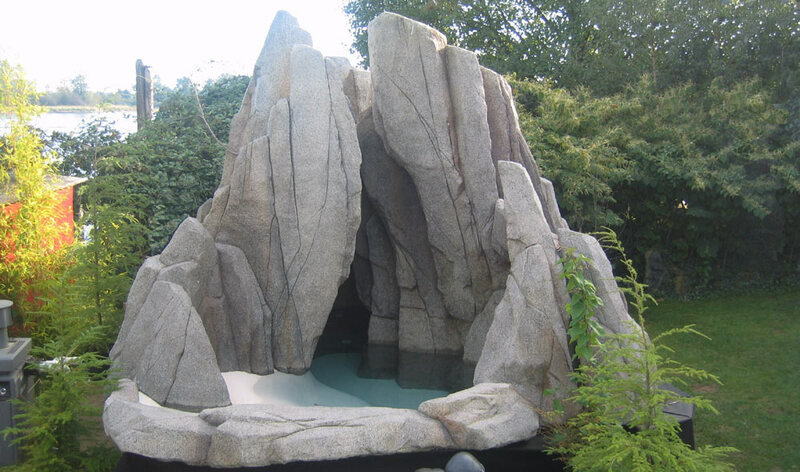 In fact, you could have your ultimate luxury vacation spot right in your own backyard… with a custom designed Peter Heiss Art of Rock Work resort-style swimming pool and your personalized hot tub, all featuring West Coast inspired designed rockwork, waterfalls and rock climbing grottos, shallows and warm pools. Or for the more understated: Peter Heiss is renowned for exquisite environmentally friendly ponds and natural landscapes. It's your dream backyard. 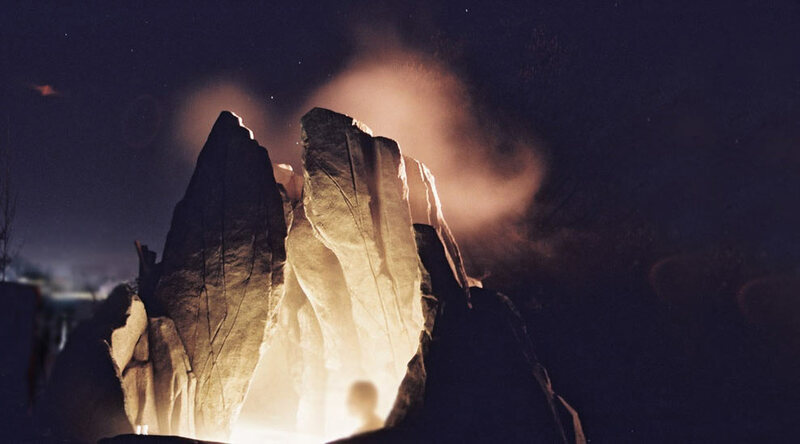 Why not let Peter Heiss' Art of Rockwork make your vision a reality? Find a genuine cowhide leather portfolio and other fine handcrafted leather products at McKinley Leather.